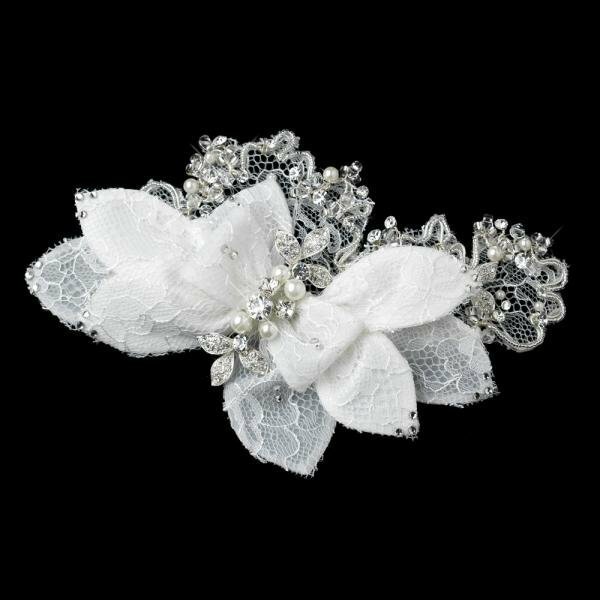 Absolutely exquisite, this breath-taking hair clip features an off laced fabric bow outlined by clear bugle beads, rhinestones, Swarovski crystals, and ivory pearls. 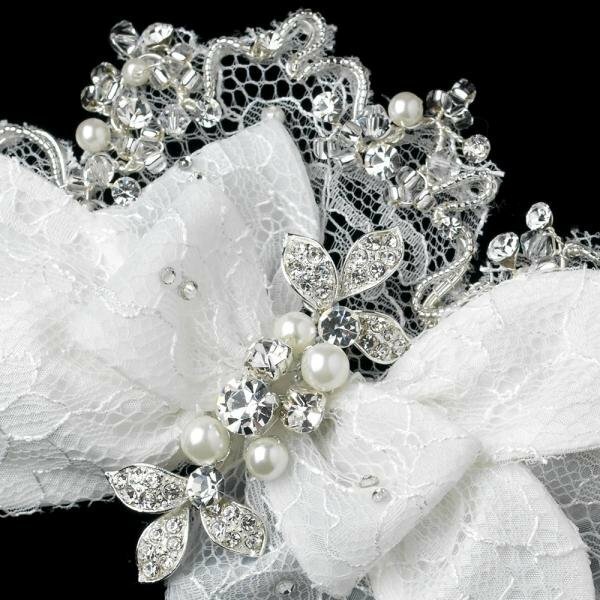 This fabulous bridal flower hair accessory is perfect for any classic, modern or vintage inspired bride with an ivory or off white wedding gown. Size: 17.5 cm x 11.5 cm.